As spring rolls in, it’s that time again to clean out the house to make room for new stuff. Yard sales are perfect at getting rid of junk that was once thought of as treasure and a great way to resell things you’ve bought to flip. Anyone can put up a few signs and throw some tables together to host a yard sale but if you follow these 9 steps, it’ll ensure you have greater sales and make more money for your pockets. 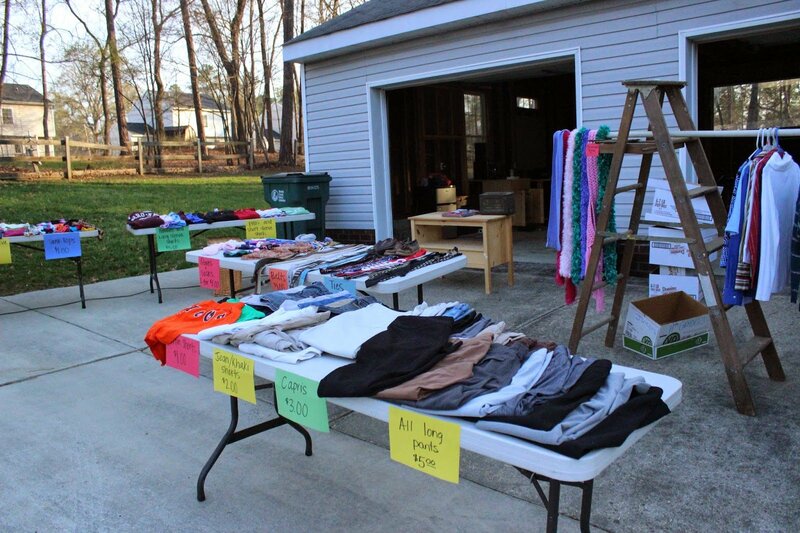 Maximize your profits by learning How to have a perfect yard sale. Most people think if they put up a few signs around the neighborhood, it’ll be enough to draw in crowds. No doubt they do work but you are only attracting the local folks to your yard sale. Think bigger, why not attract from dozens of neighboring towns? 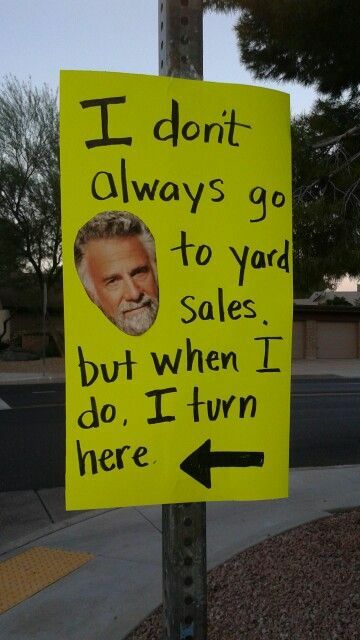 The more attention you draw to your yard sale, the faster you can sell and the more you can make. Gsalr and Yardsales are great websites dedicated to garage and yard sales. You can search for listing as a buyer or you can post a listing as a seller. Both websites are completely free to use and draw in crowds from all over. Another great and free way to advertise your yard sale would be to use Nextdoor which is a communication tool for neighborhoods. 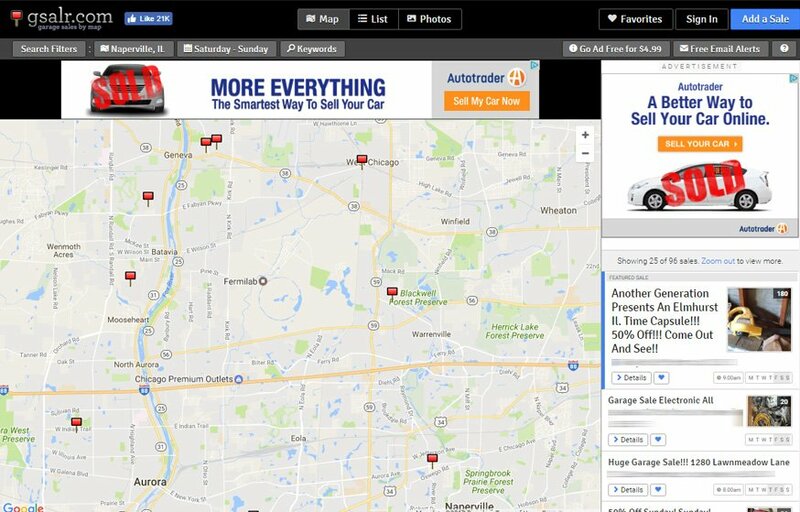 You can post your sale to only your neighborhood and/or neighboring towns. Lastly, you can always advertise on Craigslist and/or local bulletin boards for your town. Remember the more you get the word out the better. Don’t bother wasting your time if you only have a few items for sale. Buyers going from one sale to another usually judges if they should stop and get out of the car with a visual inspection first. If you only have a single table worth of items, many people aren’t even going to bother getting out of their car. If you just have a few items to sell, try to sell them online or create posting on Craigslist. In order to have a yard sale, make sure you stock up enough items so that you can populate at least 4-6 tables. When selling online, try Amazon for electronics, BookScouter for books, Swap for clothes and eBay for everything else. 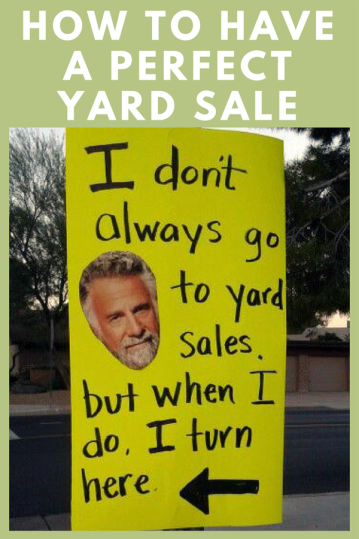 Have big and bright colored signs pointing to your yard sale. Don’t skimp out on the signs! Way too many signs are too small to read, gets ripped or flies away due to wind or lost in a crowd of other signs. Don’t be afraid to stand out and maybe put some humor into it. Many people who come to your yard sale can be just people passing by or are impulse shoppers (they just can’t help themselves). A good sign can determine if they come or not. 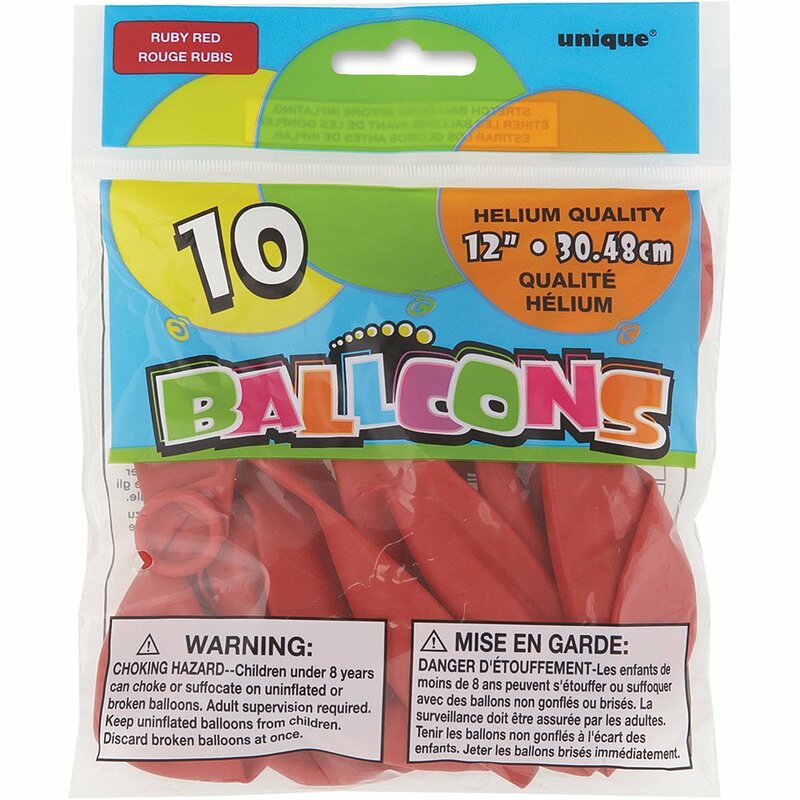 A bunch of balloons prominently displayed at the final destination is a cheap but effective way of letting drivers know they’ve arrived at the right spot. Remember when the yard sale is done, remove the signs to avoid litter and frustrated late-comers. Remember, this is a yard sale so most people coming isn’t going to be bringing a lot of cash. Don’t be trying to sell one-of-a-kind items or things higher than maybe a hundred dollars. You’re better off listing those items separately online or on Craigslist. Ditch the personal attachment you have with the items your selling and thinking about how much you are willing to pay for them if you were a seller. Although some people love to negotiate, some don’t. For those who don’t, if they don’t see a price they like or see something not marked at all…they simply move on. So make sure you take some time to mark all the individual items. If you have a lot of similar things, throw them into a box and mark the box. If you have a lot of unique pieces that you want to display you can skip the box and opt for a table. 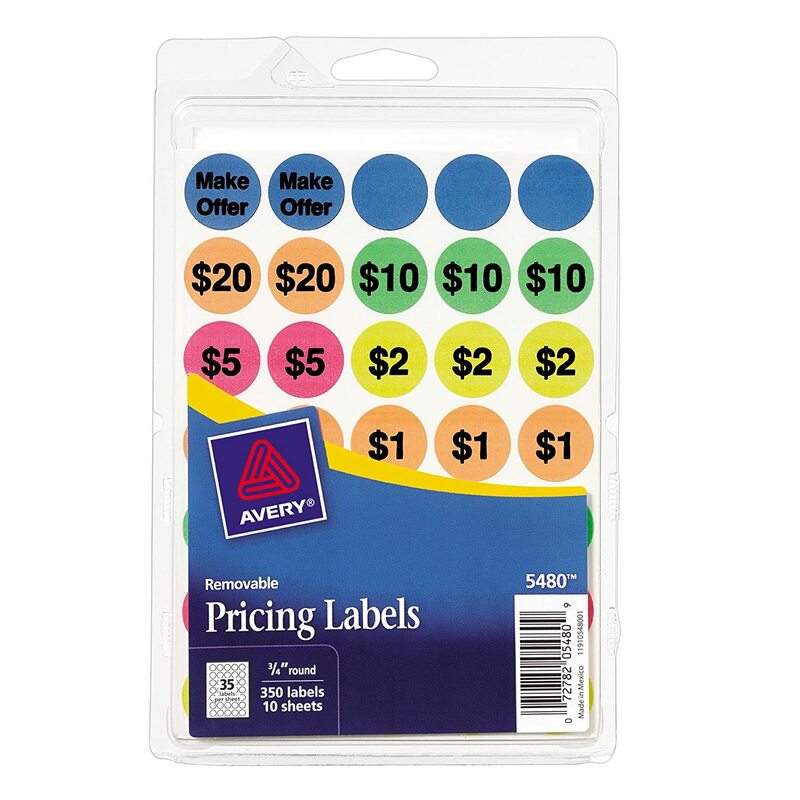 And then you can simply mark the table a set price. Shoppers usually don’t mind digging a bit but don’t throw 30 pairs of shoes into a container and expect customers to go fish for the right sizes. Separate men’s and women’s clothing, mark sizes if they’re not apparent, and price your items clearly. If you’re hosting a large sale, keep the toys and kids’ clothes in a distinct area. This can help families navigate larger sales and help parents keep track of the kids with less stress. Same concept with electronics, yard tools, books. Put each type of item together and separated from one another. Your customers will come from all walks of life. You don’t know what type of bills they may have in their pockets or purses. Make sure to have enough small bills and change ready to deal with the 10’s, 20’s and 100’s that will inevitably come your way. Nothing is worse than a customer passing up because you can’t provide change. Double check with your town to see if they require you to have a permit for a yard sale. Some do and some don’t. If your town does, don’t try save a few dollars by not getting a permit. You never know if or when town inspectors stop by. 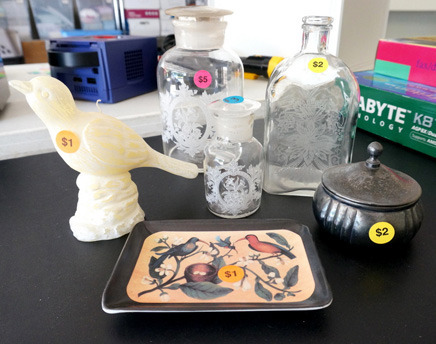 First impressions are always important no matter what your selling so please spend a few minutes rising, dusting, sorting and disinfecting the items you have for sale. 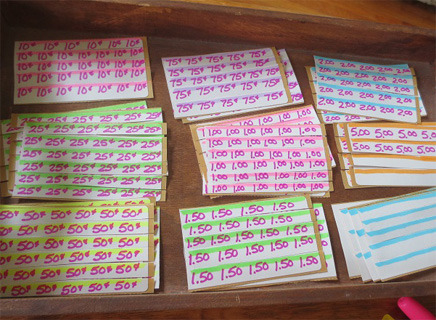 Lay them out neatly on a table or in boxes so that they are easily seen and identifiable. 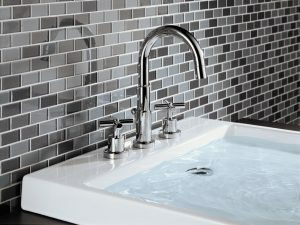 Also think about putting items that are similar in category, niche, value together.